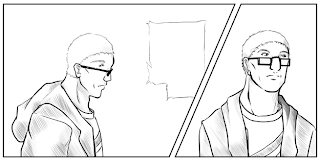 So I'm in the process of figuring out a new process of inking and toning and I thought I'd toss up some panels to see how they work on the web. 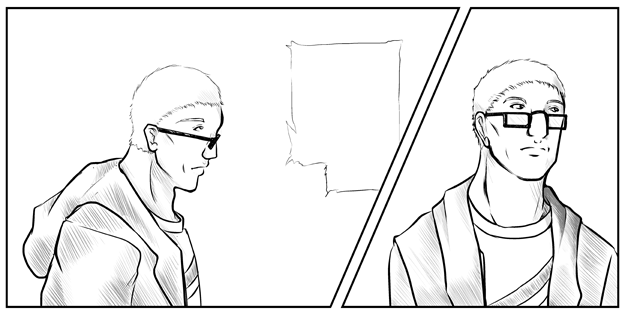 I'm pretty darn happy with the results and how this comic is going in general. I love the polish that I get with digital tones and inks. So far, not looking too bad. There's still a bit of a learning curve but again, the results are worth the effort. I also need to redo my model sheets so I'll see about getting those done in the next couple of weeks. Also, I've finally been able to get some much needed sleep. Deadlines aside, thesis is rocking. Can't think of too much else except Ugly Americans starts again tomorrow and I can't wait to watch that. So, uh, woo bye for now!